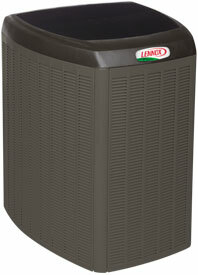 Efficiency rating of up to 18.50 SEER can save you hundreds of dollars each year**, compared to a standard air conditioner. This product has been designated as one of the Most Efficient ENERGY STAR certified products in 2016. Products that are recognized as the Most Efficient of ENERGY STAR in 2016 prevent greenhouse gas emissions by meeting rigorous energy efficiency performance levels set by the U.S. Environmental Protection Agency. SilentComfort™ technology delivers sounds levels as low as 65dB, providing the ultimate in quiet, consistent cooling. Lennox® Quantum™ Coil helps offer corrosion resistance in harsh outdoor environments, including coastal areas.